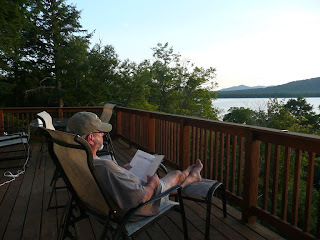 Your Host rusticatin' at Dreamtime North, Beaver Cove, Moosehead Lake, Maine, August 2008, as he studies the next podcast script. Holy crap, does that look like a great spot or what? Color me envious!